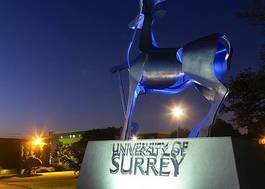 Study Physics with Nuclear Astrophysics at University of Surrey - Which? Overall: AAB from a combination of the Advanced Skills Challenge Certificate and two A-levels. Applicants taking the Science Practical Endorsement are required to pass. Required Subjects: A level Mathematics and Physics We do not include General Studies or Critical Thinking in our offers. GCSE or Equivalent: Completion of GCSE English and Mathematics equivalents within the Advanced Skills Challenge Certificate. 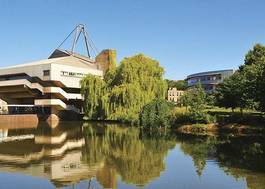 The special blend of physics taught in our Physics with Nuclear Astrophysics programmes reflects the outstanding nuclear physics research that we conduct at Surrey. On the course you will gain a thorough understanding of all the core elements of traditional physics – for example particle physics, atoms and molecules, and quantum mechanics – and study topics such as detection and measurement in astronomy and experimental nuclear physics. You can also switch between any of our specialist Physics degrees during your first year. Many of our students choose to take an integrated Research Year or Professional Training placement year, giving them invaluable work and research experience and a real head start whether they enter the job market or continue to postgraduate studies.